As Calgary celebrates the one hundredth anniversary of its Stampede, the oil and gas industry plays a major role in advertising and sponsorships. For example, while only one of the 2012 Stampede Champion Sponsors, TAQA North, is a petroleum company, nine of the twenty companies included in the Stockman's Club level of sponsorship are oil and gas or service companies. However, it was not always so. In fact, at first the Calgary Exhibition and Stampede was separate from the petroleum industry. Until they amalgamated in 1923, the exhibition (founded in 1886) and the Stampede (held in September 1912 and August 1919) were separate from each other too. It appears that the relationship between the Stampede and the petroleum industry is relatively recent, developing in the 1960s and continuing to today. In 1912, little connected the petroleum industry and the Stampede. Guy Weadick's celebration of authentic cowboy skills, received the Big Four's support of a $100,000 line of credit not as an investment in future events but out of nostalgia, in Max Foran's words, for “a one-time party, a farewell gesture to a dying way of life.” The major petroleum event of 1912 occurred weeks earlier when a crowd of 12,000 people watched in “bewildered wonderment” as “a flare of gas ... shot 60 feet into the darkness,” marking the first deliveries via Eugene Coste's pipeline from Bow Island. The sole connection in 1912 between petroleum and the Stampede was made 15 July when A. E. Cross, one of the Big Four, invested in Calgary Petroleum Products Ltd., allowing William Herron to drill the Dingman No. 1 in Turner Valley. Two years later, there was moderate interaction between petroleum and the exhibition when Calgary ratepayers voted in favour of spending $360,000 to rebuild the exhibition park. Excitement about the Dingman Well made for low turnout and the proposal passed by 33 votes. Days later, the Dingman Well and the assassination of Archduke Franz Ferdinand pushed the opening of the exhibition, 29 June 1914, off the front page of the Calgary Daily Herald. Though expatriates from the American South and Southwest who moved to Calgary after 1947 were already familiar with rodeos and supported the Stampede, the petroleum-Stampede relationship was not created until the 1960s . In 1964, a Calgary geologist, James K. Gray proposed a salute to the petroleum industry, which would require destroying old barns and parking. The board balked but a year later moved ahead with the plan. 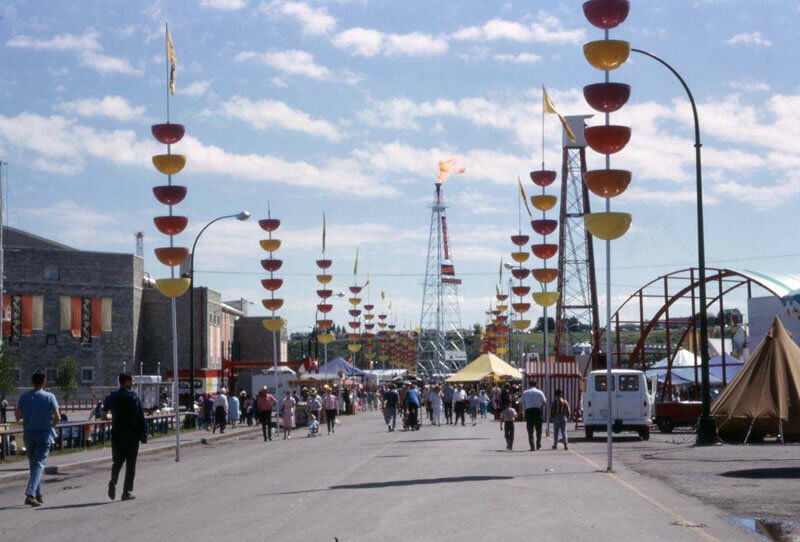 In 1966, the Stampede recognized that “the Petroleum industry has assumed an important place in the economy of the Province” and hosted the Canadian Petroleum Exhibition. A 41 metre (135 feet) tall derrick-like steel tower topped with a natural gas flare was erected in what became known as Flare Square. Some $20,000,000 worth of equipment filled the Corral and another 1.4 hectares (153,000 square feet) adjacent to the Corral. In the space of six days, over 200,000 people watched as 2,000 personnel used a functioning rig to drill 2,133 metres (almost 7000 feet) below Stampede Park and enjoyed musical interludes from Sammy Kaye and his Orchestra. As a result of the Petroleum Exhibition, 654,120 people attended the 1966 Stampede, breaking the previous attendance records set in 1959, when the Queen visited, by 62,405. Due to the “Salute to the Petroleum Industry,” new volunteers joined the Stampede, Flare Square became permanent, and future Stampedes were also themed. In 1967, to allow for growing attendance, a ninth day was added and public transit increased. The 1966 Stampede impressed the visiting deputy chief of Expo '67 so much that the Stampede was invited to hold a Calgary Day at the Expo. Over time, individuals connected to the petroleum industry participated as shareholders and directors of the Stampede. A. E. Cross remained actively involved with the Stampede and Exhibition as a shareholder and director until his death in 1932. G. Max Bell, who bridged the worlds of horse racing and oil, was a shareholder in the 1920s and 1930s and a director from 1962 to 1971. Carl Nickle, a shareholder from 1972 to 1999, represents someone tied to the petroleum without a background in ranching. According to Foran, ranching and petroleum were compatible groups which interacted on the Stampede board to create an "urban forum" in which to work together for their 'common interests.' As petroleum has become a larger portion of the local economy, individuals with strong connections to it have been more involved with the Stampede. Alison Jackson, aj 94-16, “Road leading to drilling rig erected to carry 20-foot natural gas flare symbolizing Canadian Petroleum Exposition," dated 16 July 1966. Photo courtesy of the Calgary Public Library, Community Heritage and Family History Digital Library. The author thanks Bob Bott and Brian Brennan for their suggestions in researching this topic. As always, all errors are the author's alone. Any corrections and further examples of the development of the petroleum-Stampede relationship are welcome for inclusion in future issues of the Archives. http://cs.calgarystampede.com/essentials/general/sponsorship.html. This includes Atco, Cenovus, Enbridge, Encana, Fluor, Plains Midstream Canada, Statoil, TransCanada Pipelines and Talisman. Max Foran, “The Stampede in Historical Context,” in Icon, Myth, Brand: The Calgary Stampede, ed. Max Foran (Edmonton: AU Press, Athabasca University, 2008), 3-6. 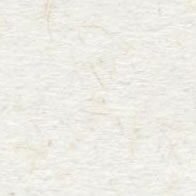 Ibid., 5. The Big Four investors were Patrick Burns, A. E. Cross, George Lane and Archie McLean. “First Natural Gas Flare in Calgary's History Last Night,” The Calgary Daily Herald, 18 July 1912. Earle Gray, The Great Canadian Oil Patch: The Petroleum Era from Birth to Peak, 2nd ed. (Edmonton: JuneWarren Publishing Ltd., 2004), 71-72. Max Foran, “More Than Partners: The Calgary Stampede and the City of Calgary,” in Icon, Myth, Brand: The Calgary Stampede, ed. Max Foran (Edmonton: AU Press, Athabasca University, 2008), 153-154. James H. Gray, A Brand of its own: the 100 year history of the Calgary Exhibition and Stampede (Saskatoon: Western Producer Prairie Books, 1985), 45-46. Jack Peach, “Oil show has long history [Final Version],” Calgary Herald 24 June 1990, F3. Peach, “Oil show has long history;” Calgary Exhibition and Stampede Annual Report 1966, 6-7; Gray, A Brand of its own, 156. Calgary Exhibition and Stampede Annual Report 1966, 6. Gray, A Brand of its own,156. Ibid. Foran, “More Than Partners,” 167.